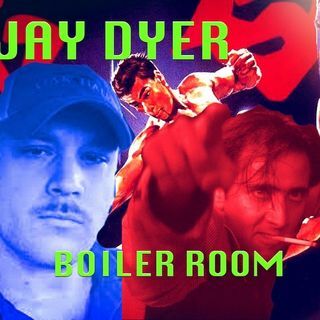 Join ACR hosts Hesher and Spore for Boiler Room along side Jay Dyer of Jays Analysis, and Randy ... Más informaciones J. Turn it up, tune in and hang with the ACR Brain-Trust for this weeks boil downs, analysis and the usual gnashing of the teeth of the political animals in the social rejects club. The ACR Braintrust gathers around the steampunk round table inside the Boiler Room once again to discuss “Economic Depression and Refugee Crisis Tourism” sponsored by The Guardian, Virtual Reality futures, NewsDud, Hesher’s outlandish conspiracy theory about the Apprentice and Rodman with regards to North Korea and Jay Dyer channeling Jordan Maxwell, James Corbett, Pastor Manning and Obamama.